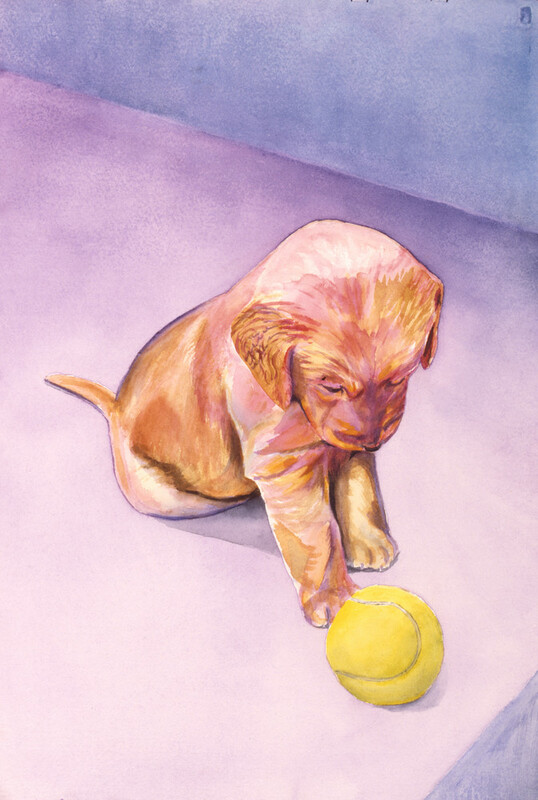 Watercolor of a retriever puppy staring at a tennis ball. Do you remember your first love? Was it puppy love? This pup is in that blissful state, having just been captured by absolute retriever perfection - a tennis ball!